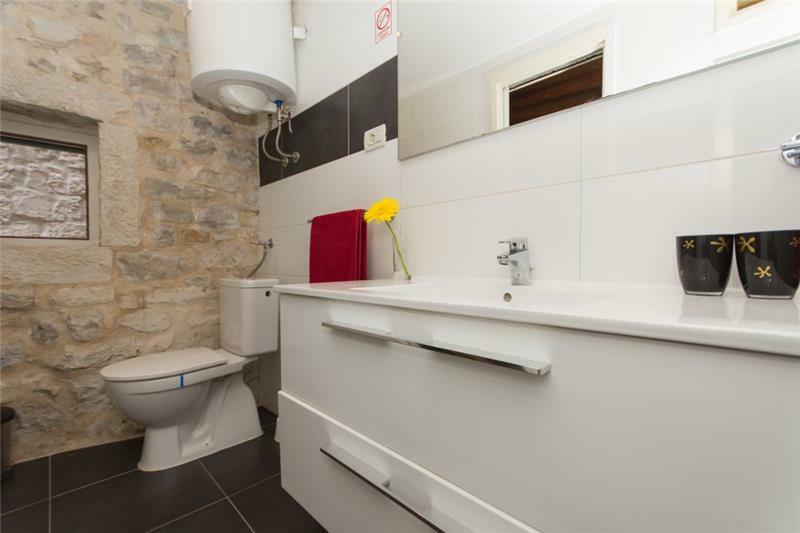 This 1 bedroom stone apartment sleeps 2 is perfect for couples looking for comfort and a touch of the traditional. 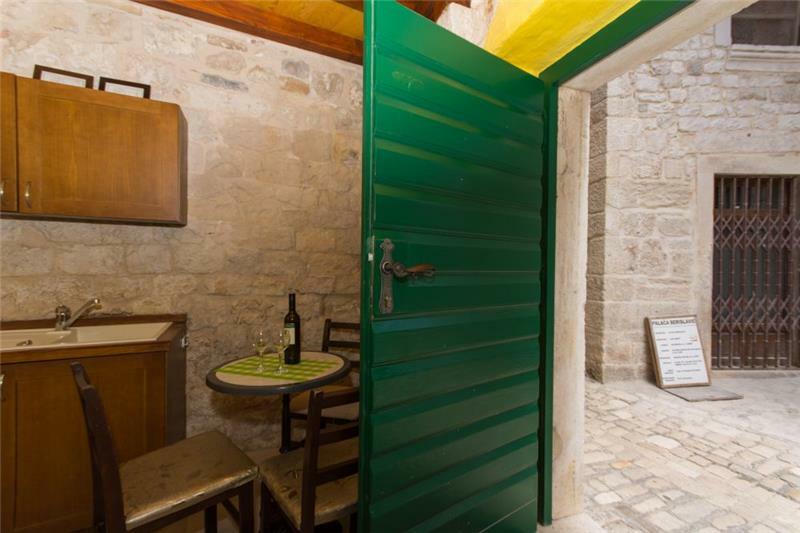 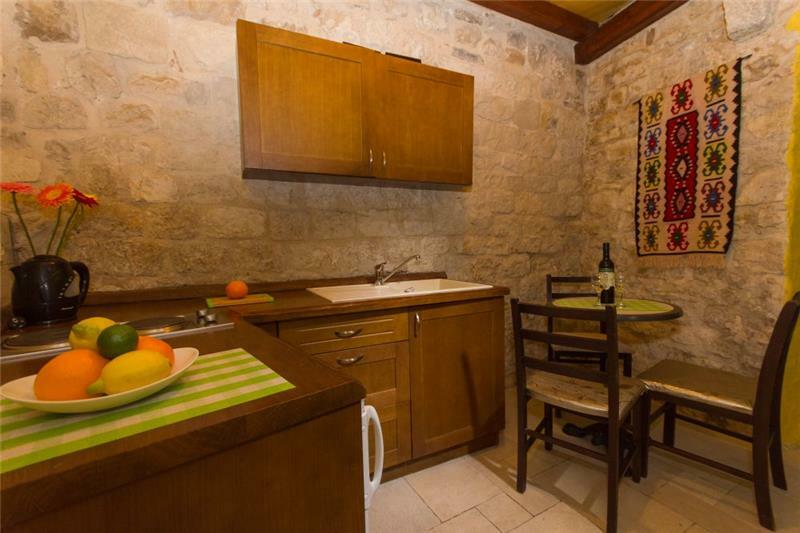 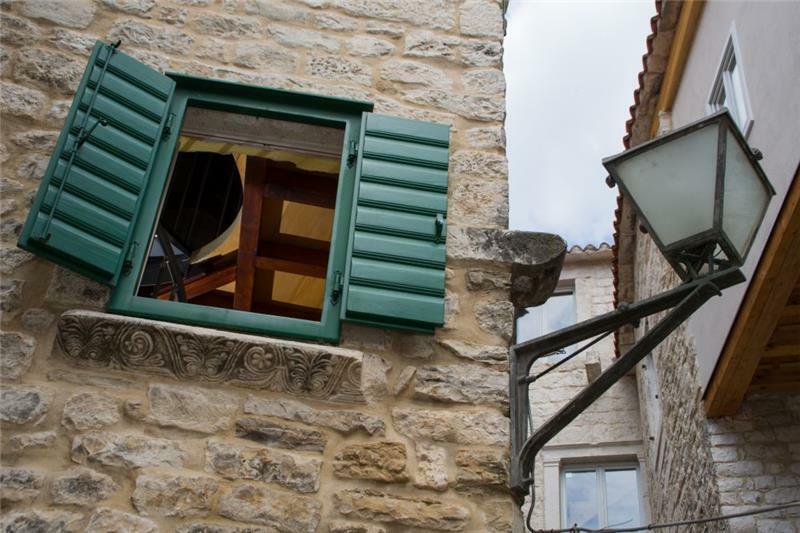 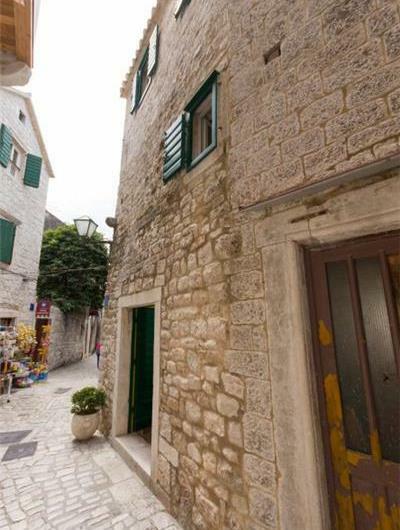 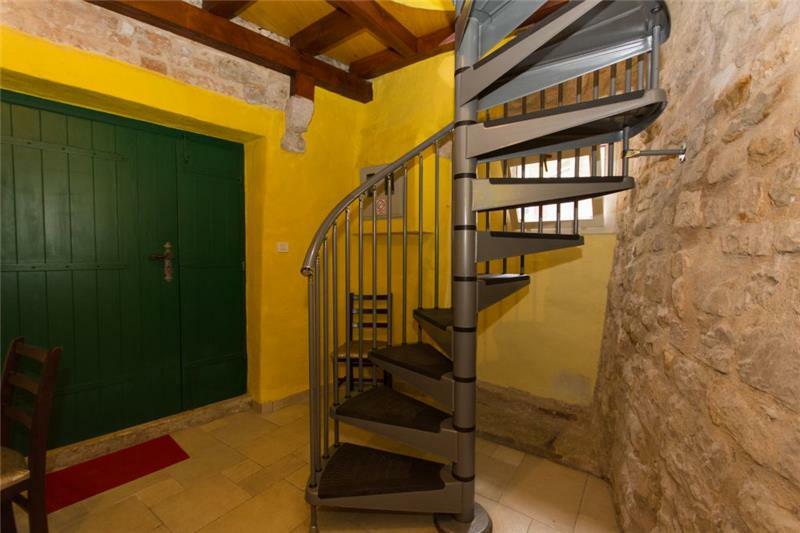 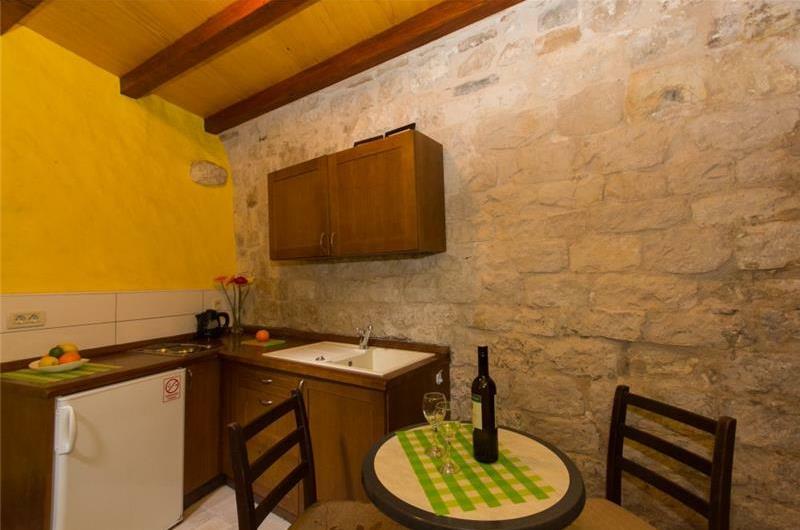 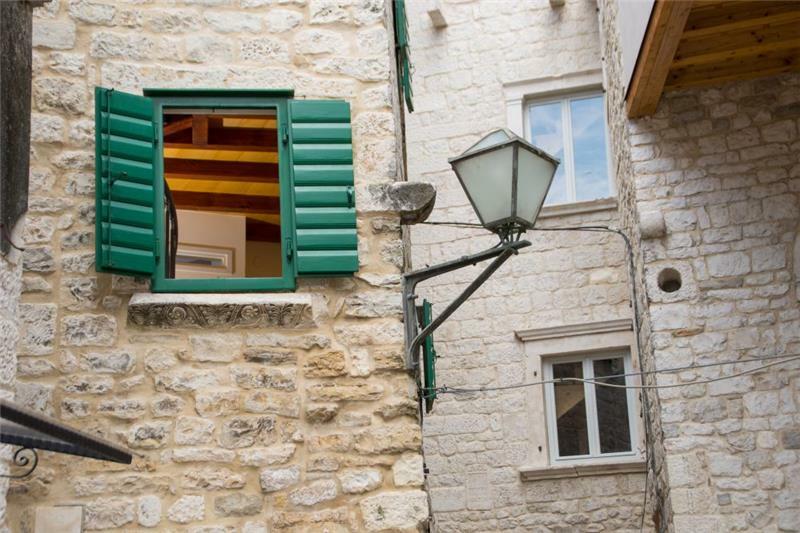 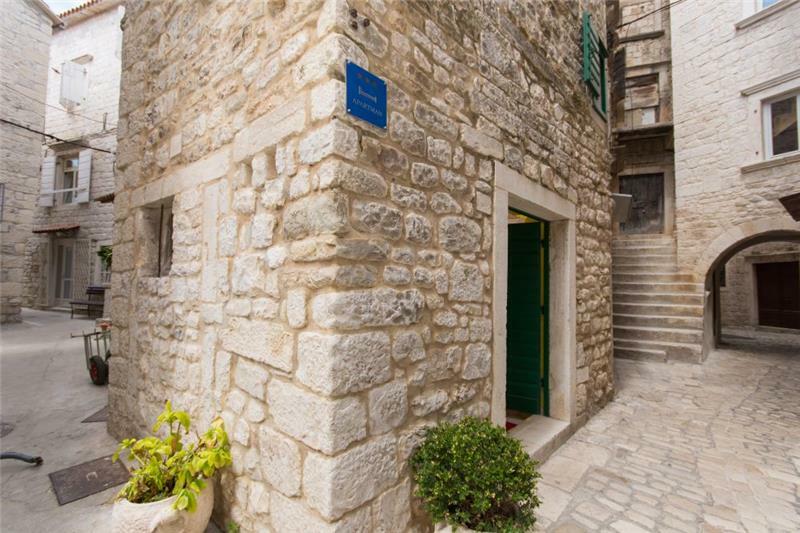 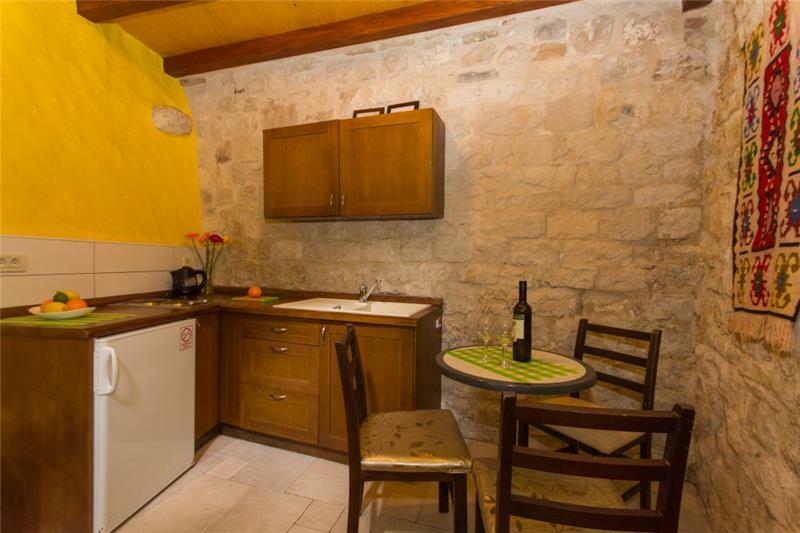 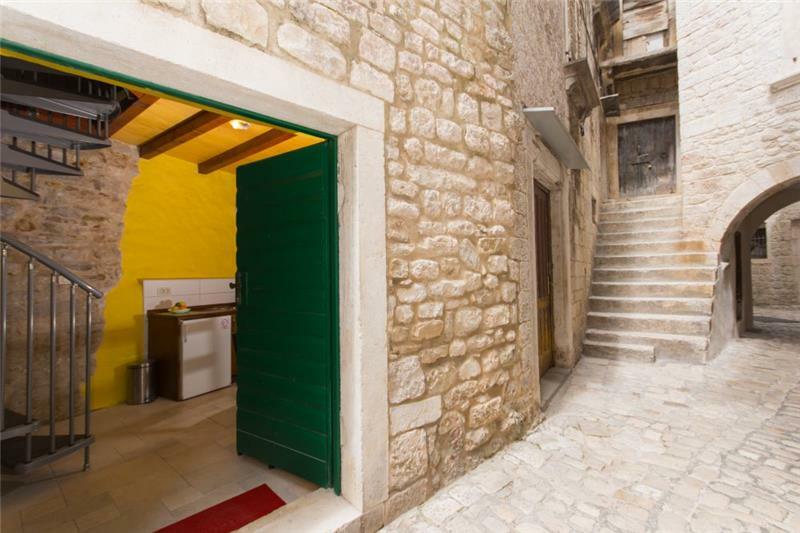 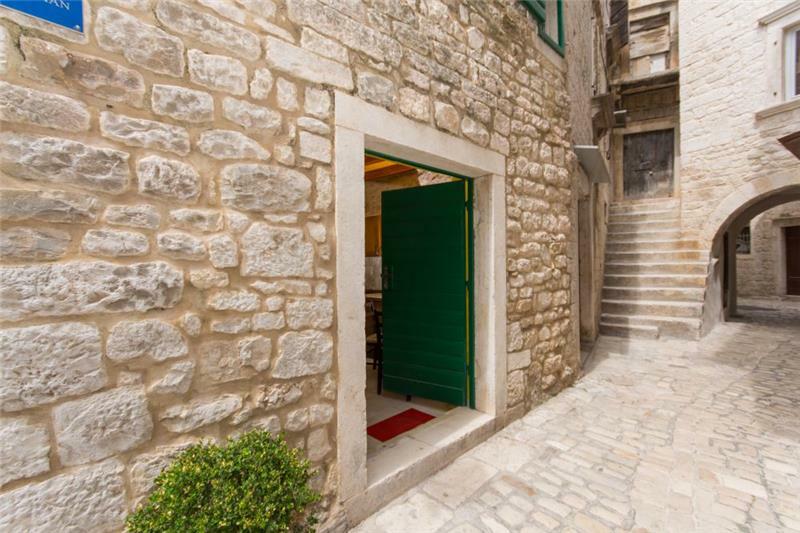 The apartment is in Trogir Old Town, and would suit those looking to enjoy its vibrant streets. 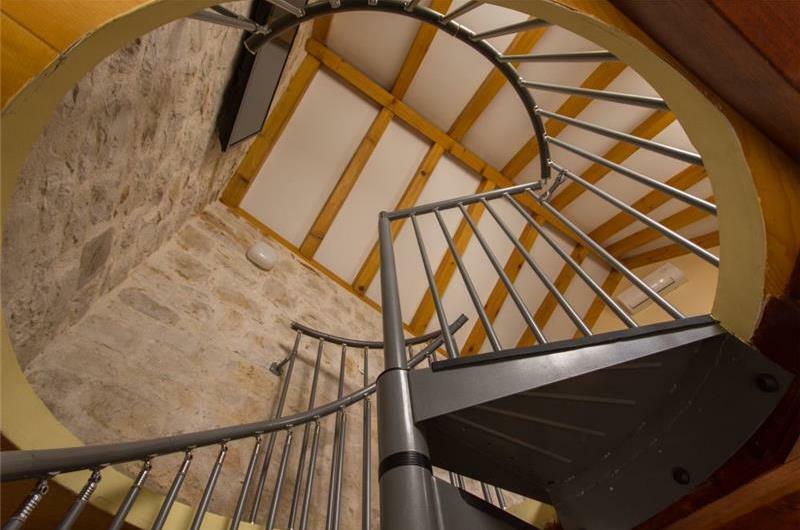 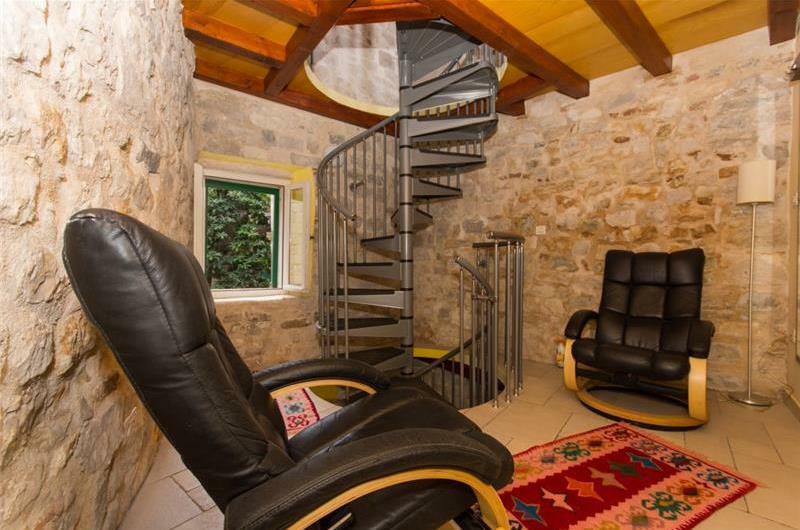 This split-level apartment covering 3 floors, each connected via a spiral staircase. 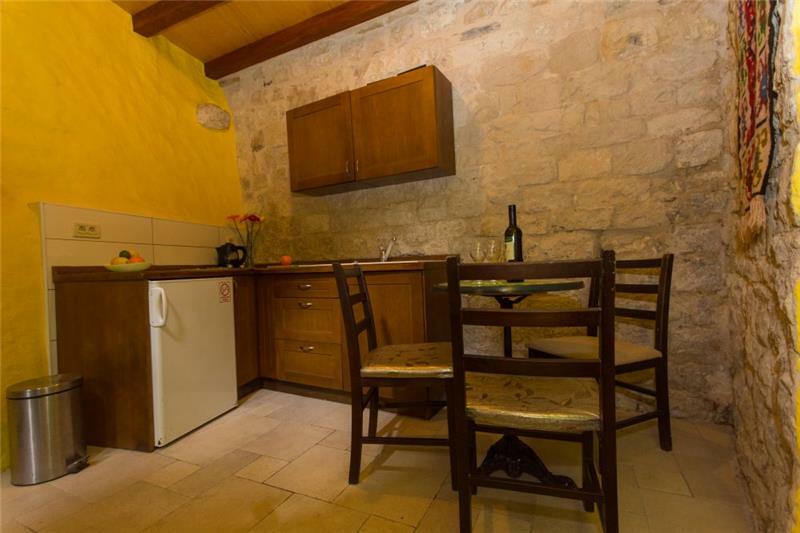 On the ground floor there is a kitchen and dining area. 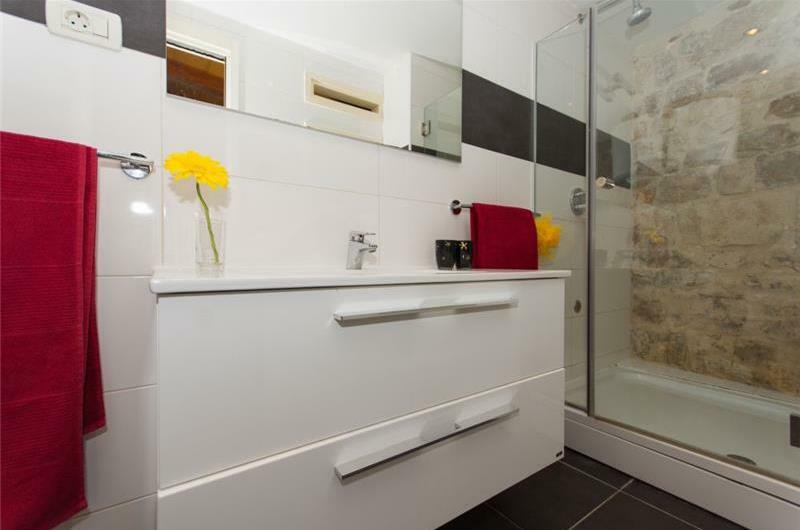 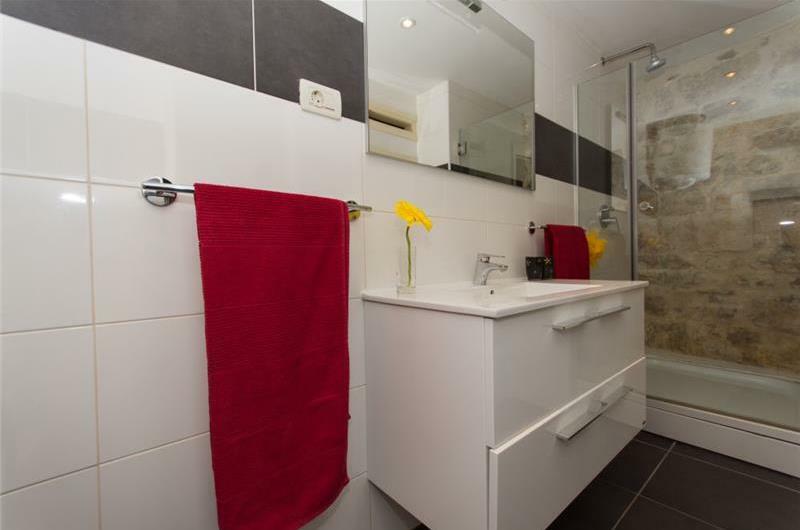 On the first floor there is a shower room, and on the second floor is a gallery floor with a double bedroom. 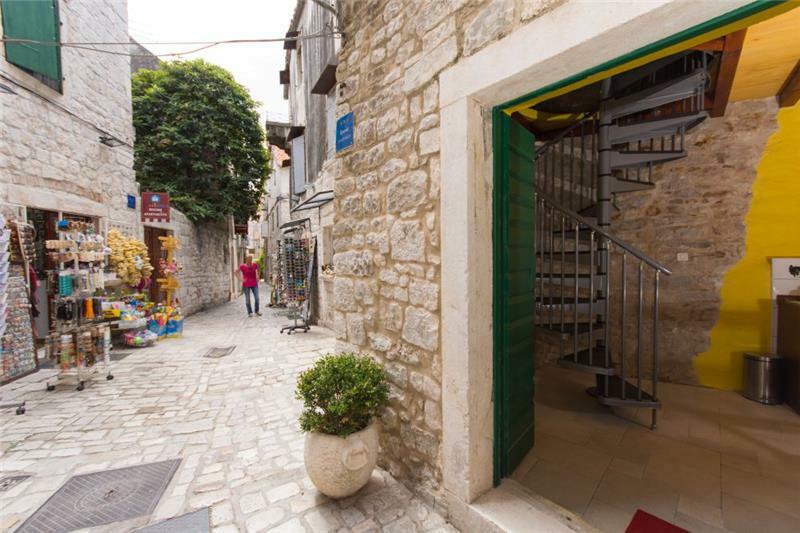 Car hire is recommended in order to explore out of Trogir Old Town. 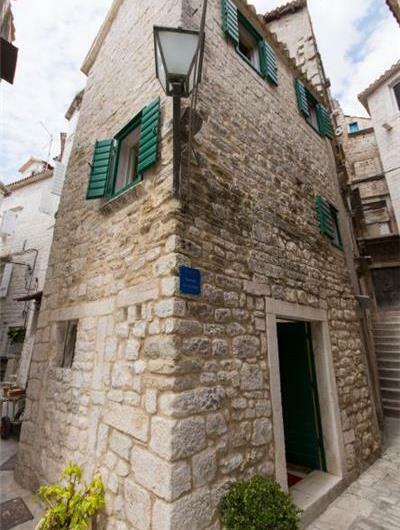 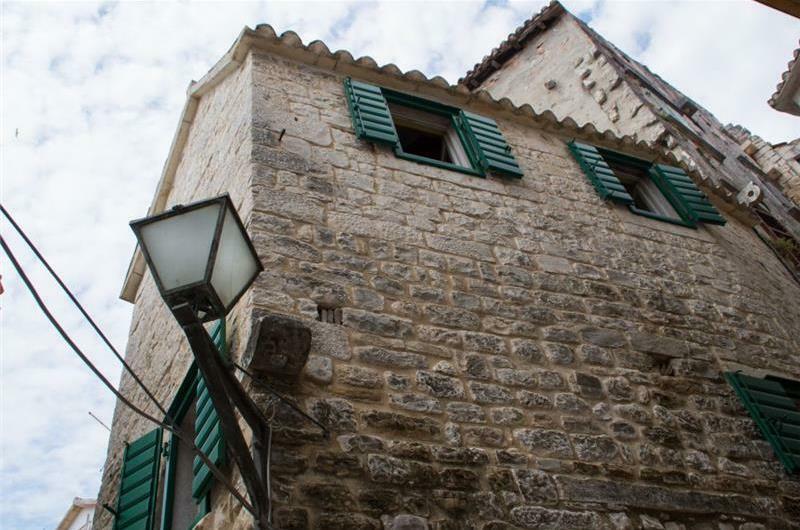 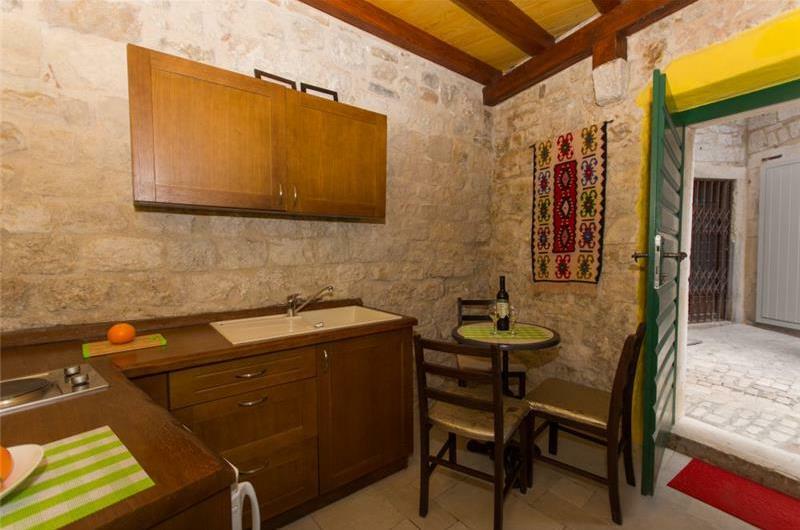 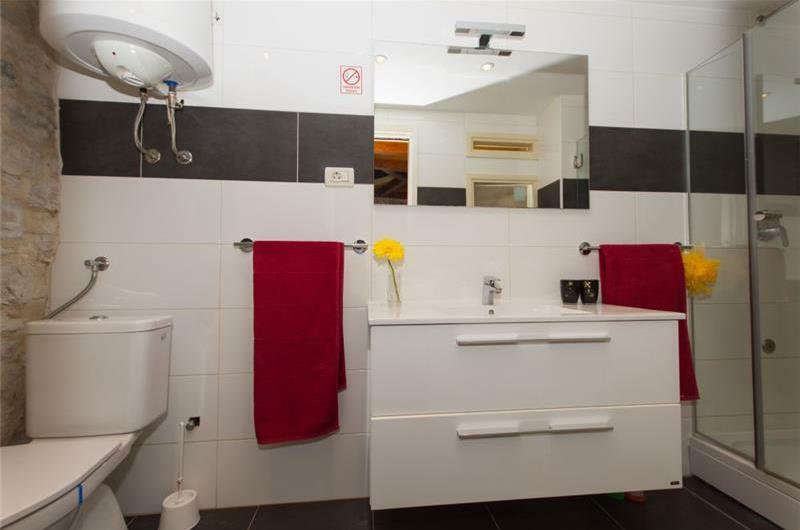 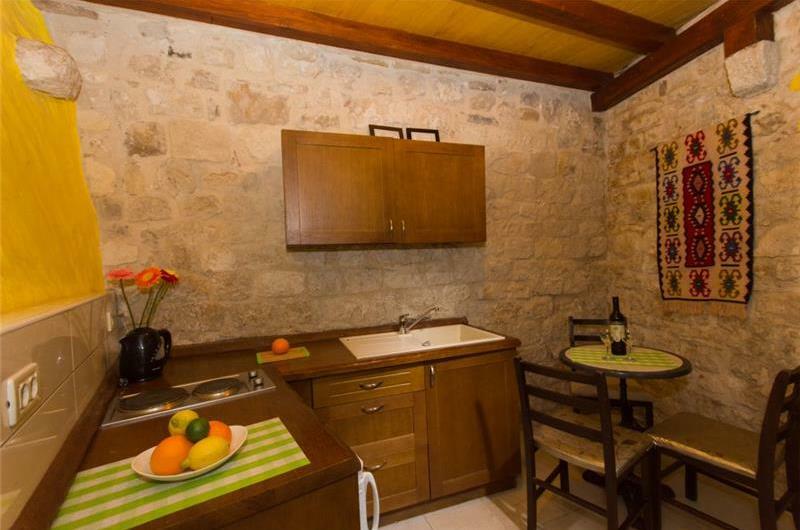 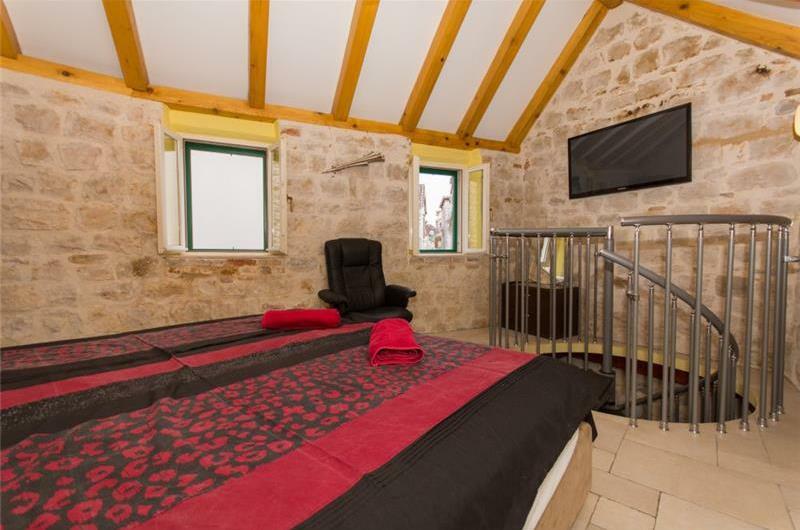 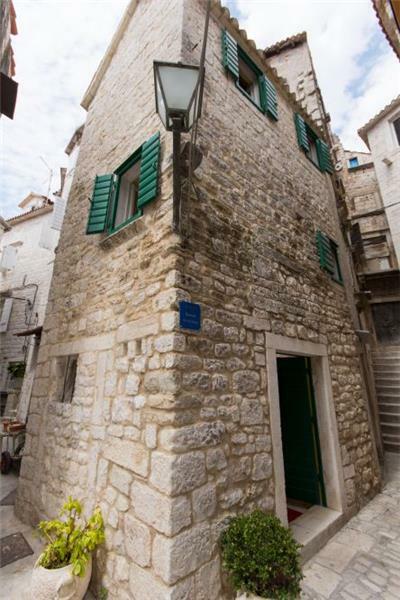 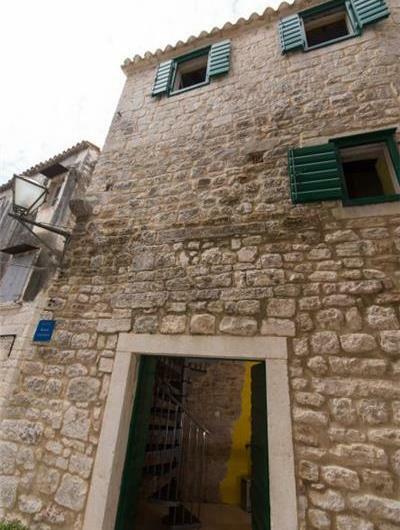 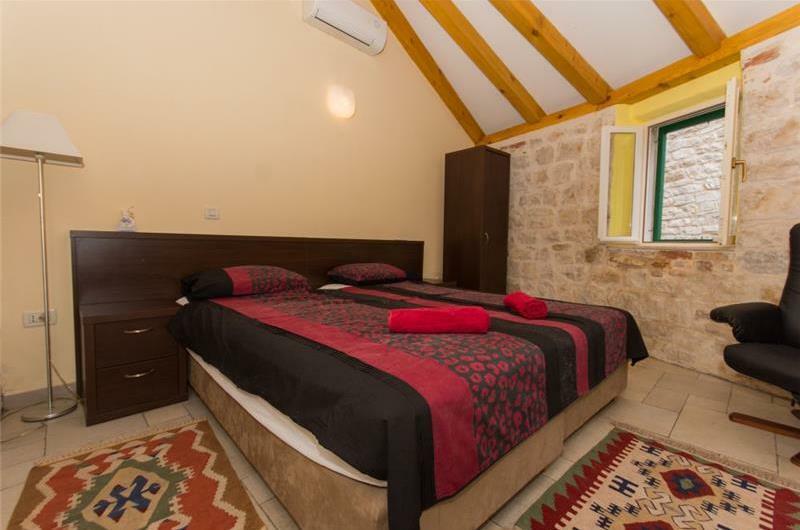 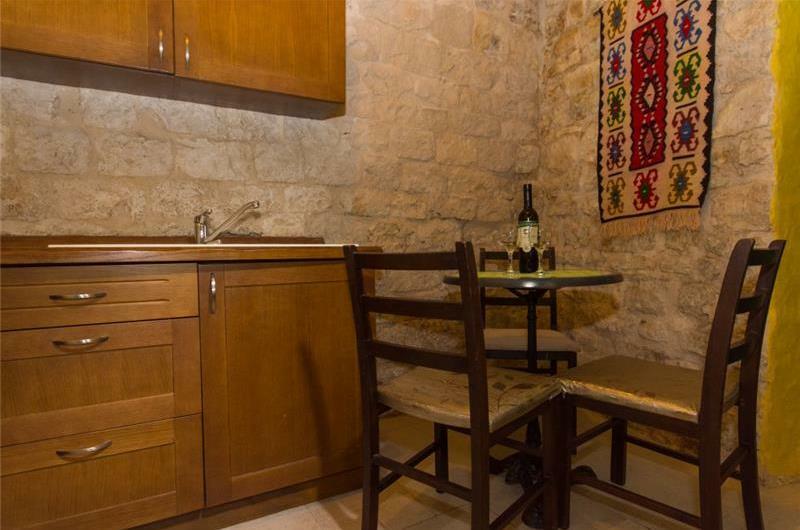 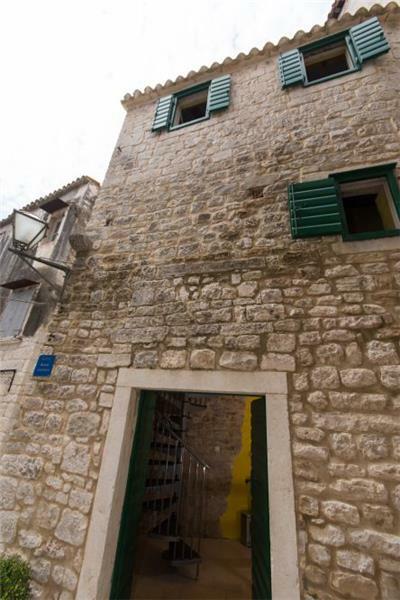 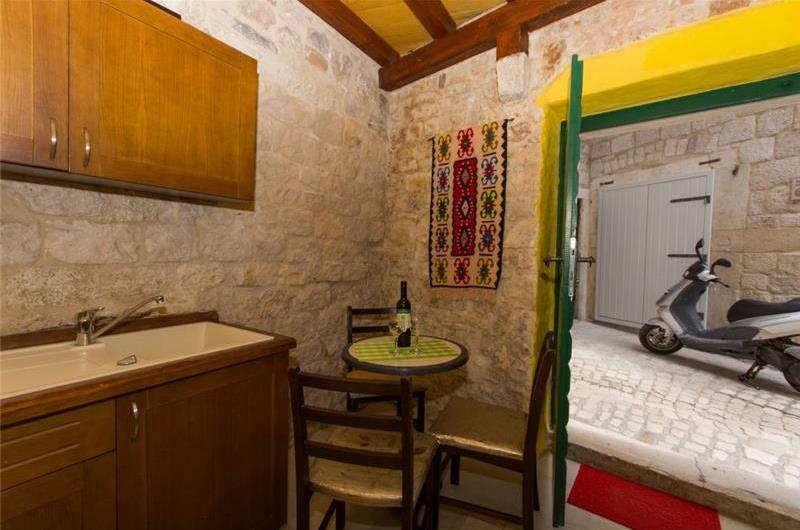 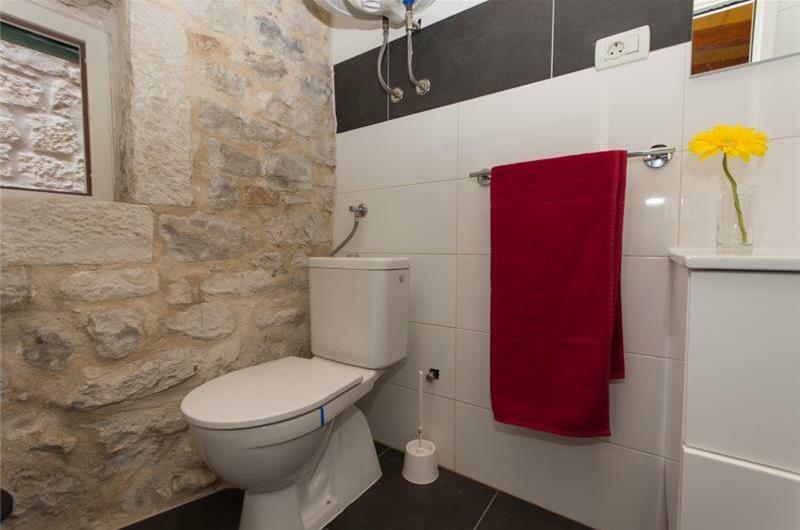 The apartment is located in Trogir Old Town, where there are numerous museums and harbourside shops. Take a walk along the towns winding walkways and explore the historic architecture. 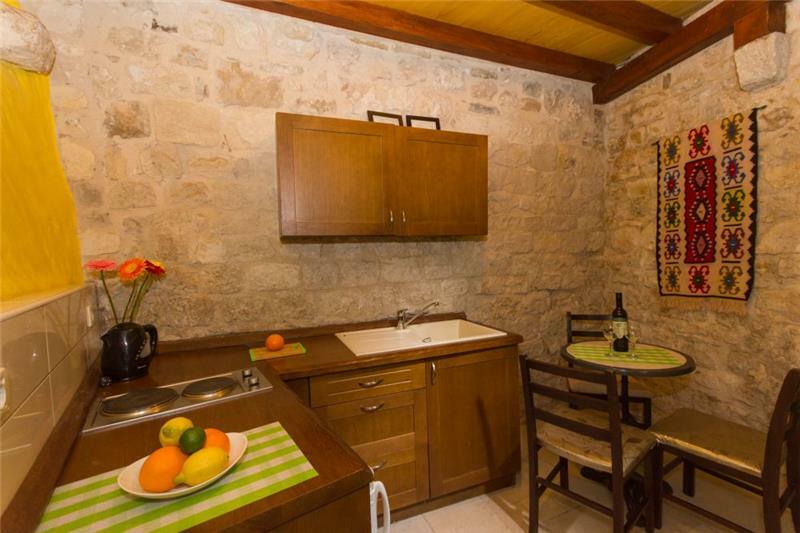 The pebble beach makes for a great spot to relax, as do the many cafes, restaurants and bars. A little further afield are the stunning waterfalls of Krk National Park, and it is also worth making a day trip to the bustling town of Split with its UNESCO palace.